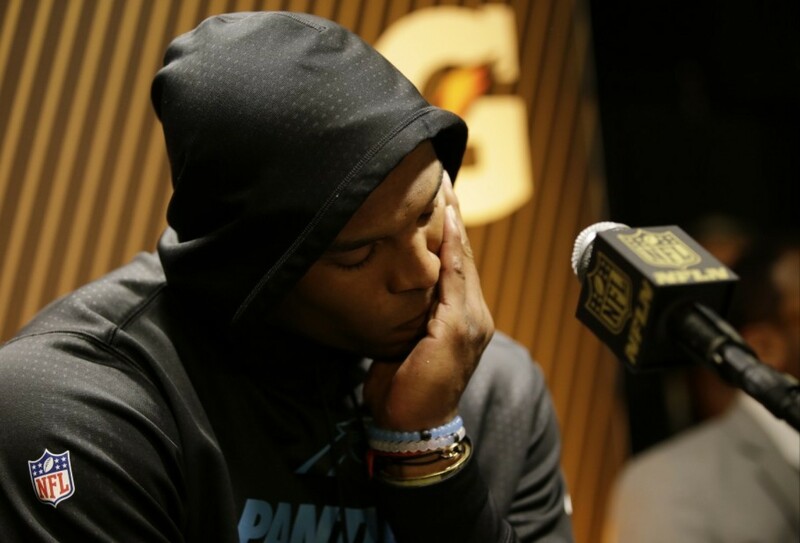 However, in Newton’s defense, I understand what it means to be a sore loser. I’ve been there. We all know sportswriters can ask some pretty lame questions. And after losing the biggest game of your life, emotions are raw and you’re in no mood to talk about why you lost. His coach and team mates defended him. Even Broncos quartrerback, Peyton Manning, said that Newton was humble and gracious to him following the game. After becoming a Christian, Paul became a great apostle and spokesman for Christ. He traveled the world. His missionary tours resulted in many conversions and churches established. He wrote more letters than any other apostle. And is more often quoted. Yet, he didn’t always win. Paul suffered persecution. Rejection by his own countrymen. A physical “thorn in the flesh.” And unfounded accusations regarding his motives for preaching. Paul didn’t always win in life. But he did learn something. He learned how to deal with it. How to develop inner contentment. How to rise above his circumstances. How to “be brought low,” yet maintain his honor, dignity and character. The wise man wrote in Ecclesiastes 3:6 that there is a time “to gain and a time to lose.” Life, like sports, is filled with gains and lossses. Ups and downs. Prosperity and adversity. Winning and losing. We need to learn, and to teach our children, that losing doesn’t make you a loser. Author and educator, the late Warren Bennis once noted that all successful people are tested by adveristy. Even when they are initially defeated, they did not allow the defeat to define them. Even in losing, winners use the experience to stimulate them to persevere and achieve. Failing doesn’t make you a failure. Losing doesn’t make you a loser. This is true in sports, business, ministry, and in our Christian walk of life. Show me a good loser and I’ll show you an eventual winner. Just kinda nice to have a great Teacher of God’s Word who can also relate to us as a sport fan. Spring Training starts in a about a week. As a Cubbie fan, can you give me some spiritual based encouragement for this coming year??? Maybe a lesson of — when you go zero for a hundred, how do you keep on trying? Awesome! Thanks Ken, I was so disappointed in how he reacted. I hate the impression it left for so many people. We all need to learn how to win and how to lose, both are a part of life. It’s not always easy, but it will be good for us as we grow both physically and spiritually. Thanks, Faye. I appreciate you reading my blog and taking the time to comment.